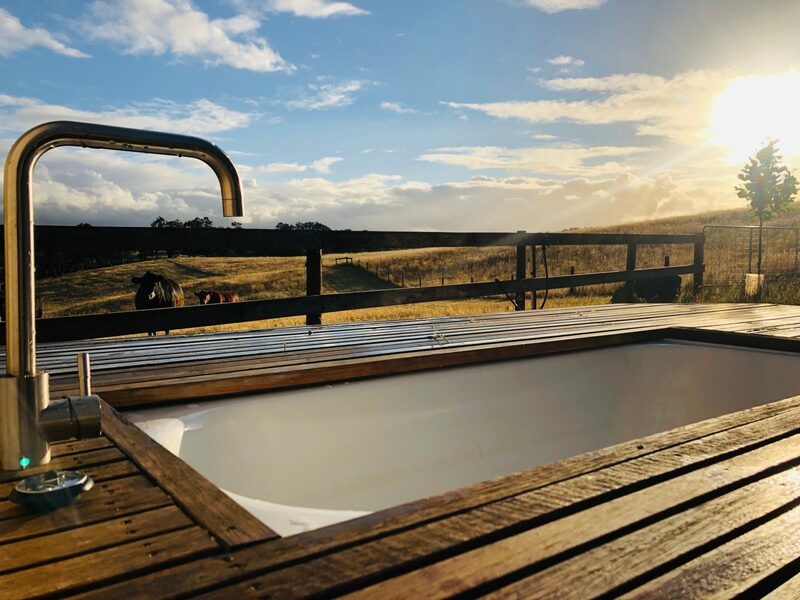 A romantic, privately located Tiny Home X Glamping experience with bespoke interiors, outdoor bath, rain shower head, quality furnishings and lots of space. 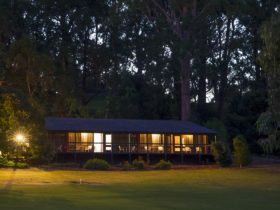 Wake to grazing kangaroos and look up at the stars from your comfy queen bed in your home among the open fields. 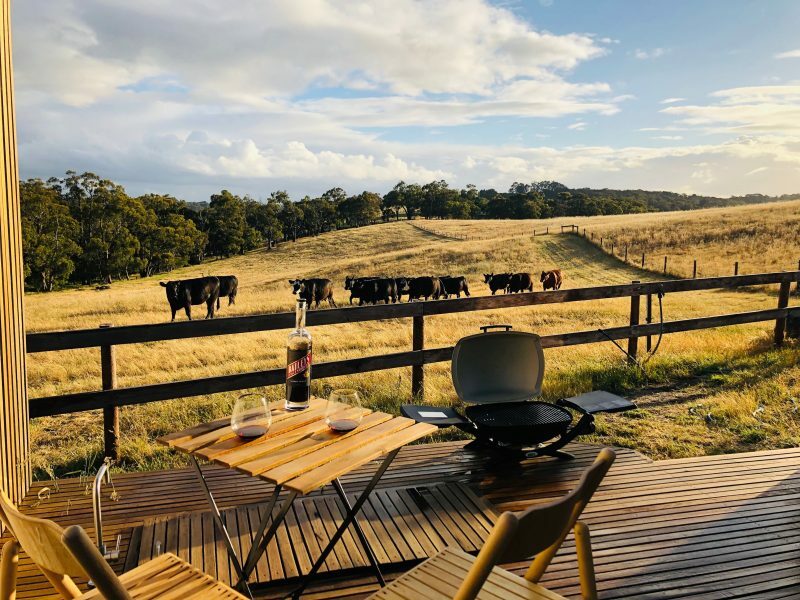 A unique retreat nestled on a private organic farm in the heart of the Adelaide Hills. Beautiful views extending from each cabin are solely yours to enjoy. 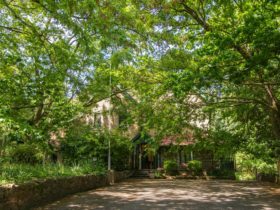 A special escape only 3 minutes drive to picturesque Hahndorf village and 25 minutes from Adelaide’s cbd. 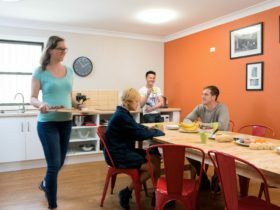 A private, playful & interactive space where couples can enjoy each other’s company without distraction… except good distractions like passing kangaroos, hares and happy cows. 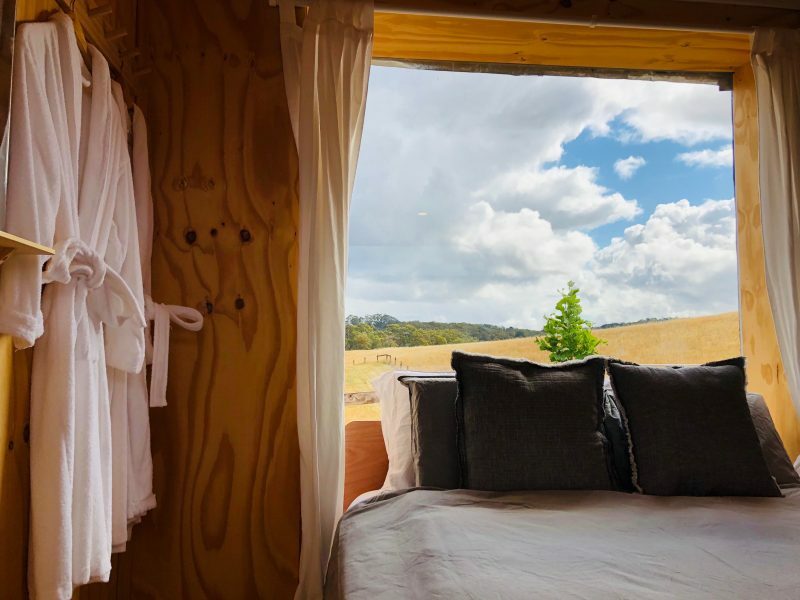 Meshing together glamping and tiny home elements in a calm, Australian country environment. 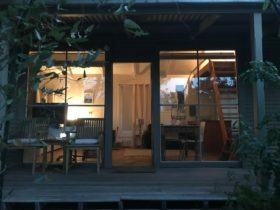 Cosy, light-filled spaces with passive solar design for comfort in summer and winter. Continental breakfast is included for the first day of your stay along with coffee and local beers to compliment stunning sunsets. This is a single occupancy stay. i.e. You have sole access to all three WiFi enabled cabins. For groups larger than 2 guests we offer the potential for camping on the adjacent protected lawn. Price includes a continental breakfast on the first day, complimentary local beers, snacks and coffee. Extra guests (above 2 ) are charged at $18 per person per evening.